Forget the fuss... Leave the catering to us! All foods that we supply are prepared and cooked on site with the freshest of ingredients and you can rest assured our staff employ the highest hygiene standards at all times. Our menu boasts a wide variety of delicious foods such as roast meats, vegetables, salads, desserts and savoury appetisers. All of these are made to order and can be customised to meet your individual dietary requirements. We are the ideal solution for many special events such as corporate functions, weddings, company picnics, backyard parties and Christmas parties. 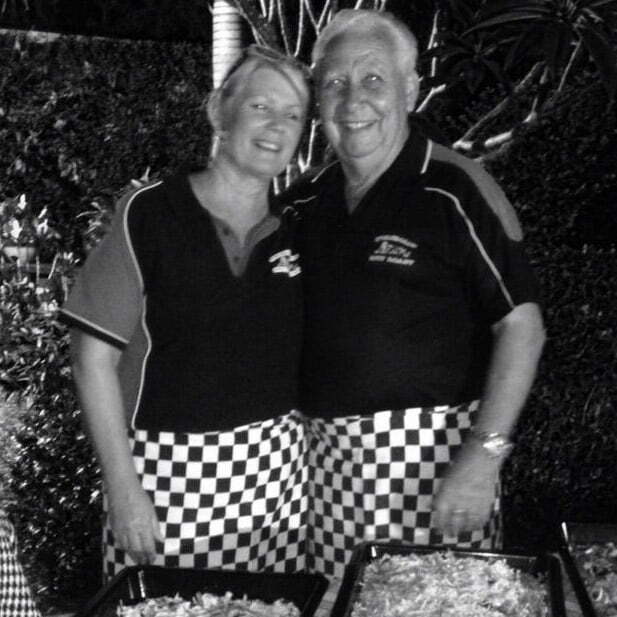 Swagman’s Spit Roast is the one-stop-shop for all your catering needs and is the obvious choice to cater your next special event. Our founder Nev Solomon is a proud recipient of The Devro Award for the highest Average Mark in Advanced Smallgoods (1989).